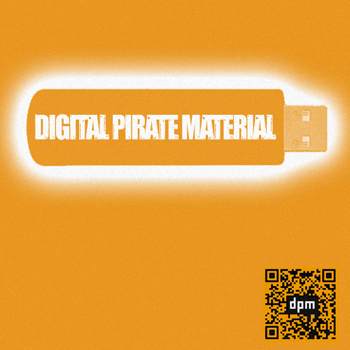 Digital Pirate Material, compilation free download. A collection of tracks made by talented artists that I've discovered over the past year, whilst writing the Digital Pirate Material music blog. Totalling 18 tracks strong, each sampling a different artist, from a wide and eclectic blend of underground music genres. Kicking off with an energetic Numan production, the compilation travels through sounds of future garage with iO, deep bass ridden dubstep with Paleman, 8 bar grime riddims with Spooky, dance floor destroying funky with Lil Silva, as well as conscientious lyricism delivered by Context MC and bootleg remixes courtesy of Mista Men and Majora. Brought together as a way of pushing out a multitude of sounds from a line up of accomplished artists, we hope that you enjoy this collection as much as we did compiling it. Big thank you to everyone of the artists that gave permission to be included in this collection.